The New York City Employees Retirement System has assets managed by at least eight money managers that own pieces of Puerto Rico's $70 billion debt. The New York City Employees’ Retirement System has assets managed by at least eight money managers that own pieces of Puerto Rico's $70 billion debt. 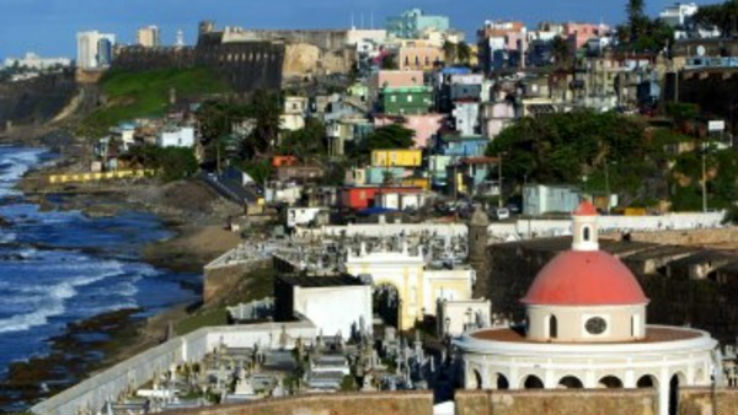 (Bloomberg) — New York City’s $53 billion civil-employees’ pension is urging its hedge funds and distressed debt managers that hold Puerto Rico bonds to “find a just and equitable solution” to the commonwealth’s debt crisis. The New York City Employees’ Retirement System has assets managed by at least eight money managers that own pieces of the island’s $70 billion debt. As prices of Puerto Rico bonds plummeted and yields soared, hedge fund and distressed-debt buyers swooped in. They now hold as much as 30 percent of Puerto Rico’s securities, according to Barclays Plc. “Some hedge fund and other institutional investors’ reaction to the crisis suggests they will seek to impose draconian terms and conditions on Puerto Rico’s bond issuing entities,” according to a letter sent by the trustees of the New York City Employees’ Retirement System, one of the city’s five pension funds. The letter comes a week after New York Mayor Bill de Blasio described some hedge-fund managers as predators endangering Puerto Rico’s 3.5 million residents by demanding cuts in spending and services to ensure they’re paid in full. Democrats in the U.S. House of Representatives have also criticized the investment firms for opposing a measure that would allow some Puerto Rico agencies to file for bankruptcy, which would let them use the courts to escape from debts that Governor Alejandro Garcia Padilla says the island can’t afford to pay. Hedge funds were among the major buyers when Puerto Rico sold $3.5 billion of junk-rated bonds in March 2014. Those securities have since tumbled 23 percent, trading Thursday for an average price of 71.6 cents on the dollar. More than 700,000 Puerto Ricans live in New York City, almost twice as many as in San Juan. The pension fund said many of its pensioners are of Puerto Rican descent. The pension fund said it was concerned that large holders of Puerto Rico debt will raise their stakes and have the securities repaid at the expense of the island’s roads, bridges, sewer systems and other public assets. The fund’s trustees called for a long-term approach that leads to the commonwealth’s economic recovery and debt payment. The pension didn’t threaten to terminate the managers. “A gentle reminder that ‘we want to be fair’ is unlikely to be effective,” said Eileen Appelbaum, a senior economist in Washington at the Center for Economic and Policy Research, which receives funding from labor unions and foundations. A better approach would be for the city’s pensions invested in the hedge funds and distressed debt funds with Puerto Rico holdings to join together and send a forceful letter that they expect the money managers will respect the integrity of Puerto Rico and the welfare of its citizens, she said. A report commissioned by some of the hedge funds by former International Monetary Fund economists said Puerto Rico could avoid defaulting by cutting spending, improving tax collections and selling its ports and other real estate. Hedge funds have disputed the characterization that they are an obstacle to resolving the island’s crisis. Such funds and other investors holding bonds from the Puerto Rico Electric Power Authority, or Prepa, agreed on Nov. 5 to a restructuring plan that would require them to take losses of as much as 15 percent. “Blanket statements criticizing the role of bondholders aren’t just factually inaccurate; they are a clear example of damaging political rhetoric,” Stephen Spencer, a managing director at Houlihan Lokey who is advising Prepa bondholders, said ahead of the pension fund’s statement. –With assistance from Michelle Kaske and Henry Goldman.